Did you know that workplace injuries have become increasingly prevalent in the United States over the past decade? Statistics show that workplace health hazards occur in approximately 3% of the working population. As a result, the Department of Labour strongly recommends the use of personal protective equipment (PPE) to promote occupational health and reduce work-related risks. Currently, the use of safety work gloves is a standard procedure to prevent health hazards. Safety gloves are commonly used materials that are specifically designed to protect employees with high occupational risk exposure. This type of gloves is composed of thick, durable material designed to withstand extreme temperatures and acidity. It is also highly impenetrable to physical damage caused by cuts and abrasions. What are the types of safety gloves? Having the right type of safety gloves is crucial to reduce health risks in your workplace. Several types of gloves are designed based on composition and durability. Cotton and fabric gloves are the thinnest, least durable material that can protect you from abrasions and minor cuts. Rubber and leather gloves are thicker types that may be used if substantial chemical exposure is expected. Kevlar gloves are made of a dense material to protect against lacerations and extreme temperatures. When should safety gloves be used? 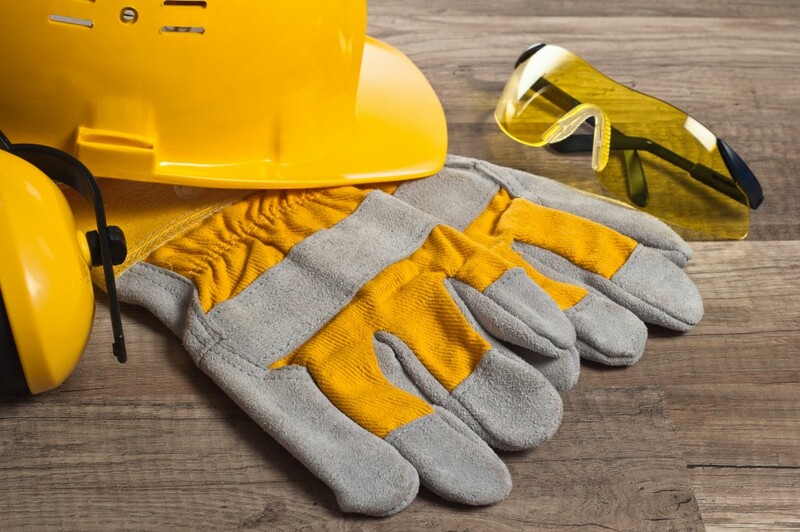 Safety gloves are specifically used in cases of frequent exposure to trauma, elevated temperatures, high-impact injuries, and toxic chemicals. Among welders, leather gloves must be used to reduce the sparks upon contact with metal. Physicians and healthcare workers are also advised to use cut-resistant work gloves to prevent the spread of infection during surgical procedures. Mechanics and scientists must wear safety gloves to prevent adverse chemical reactions that may injure the skin and penetrate into deeper organs of the body. Work-related health injuries caused by exogenous factors, chemical exposure, and biological reactions may cause significant morbidity among employees. Therefore, it is crucial to wear personal protective equipment in your workplace at all times to minimise exposure to health dangers.